Salut mes amis!! 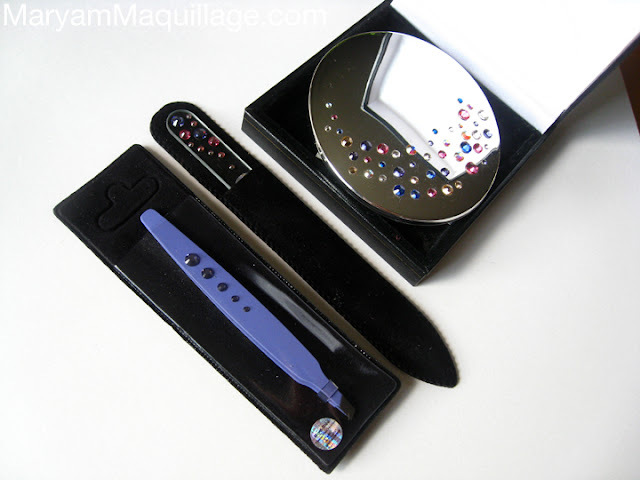 Have you ever encountered a situation where you had to get a gift for the girl who has everything? Have you ever been stumped to the point where you settle on getting an impersonal gift receipt to the one store you hope she likes? Don't you ever wish there was something universal that any female would appreciate? Well, look no further!! Today, I'm happy to present Mont Bleu*, a Czech company dedicated to delivering just the right gift for every female who seems to have everything. Salut mes amis!! Today's nail post is all about chocolate and raspberries i. e. brown and pink -- one of my favorite color combos. 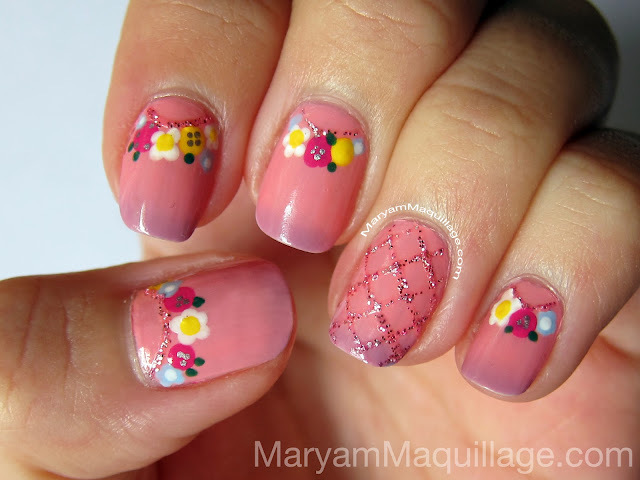 I wasn't planning on sharing this nail design (I thought it was too simple to blog about) but decided it may actually be refreshing to show you one of my easiest manicures. Read on for a tutorial!! Hello old friends and new!! Today's post is a personal update of my life and whereabouts during the last month or so. You might have noticed that my beauty posts have been less frequent than usual and this is simply due to the precedence of my personal happenings that are outside of my blogging world. This month has been dense, but fast-paced: I've hosted friends from Paris, went out-of-state, worked on makeup for several weddings and even blogged a little... :)) I won't go into all the details, but I will show you some snippets from my travels!! Last week, I was away in Pennsylvania, accompanying LeeLee (my beau) on his work-related affairs. Due to the nature of his business, we often spend a lot of time in PA, so whenever we get a moment to escape, we like to explore our surroundings. In the pic above, I'm joyfully taking in the fresh country air aboard an old Amish wagon in Lancaster. Visiting the Amish in Lancaster County, PA was one of my favorite experiences in a long time, and today I'm sharing some of its picturesque beauty. So, hop on the wagon and come along! Bonjour mes belles et mes beaus!! It's me, Maryam, reincarnated into a futuristic emo version of Queen Marie-Antoinette inspired by Lime Crime's latest creation: Palette d'Antoinette!! Since this look pretty much speaks for itself; I, without further ado, present to you my concept of the day complete with reviews, tips, and tricks for all you makeup lovers and enthusiasts! Bonjour mes amis and Happy Monday! 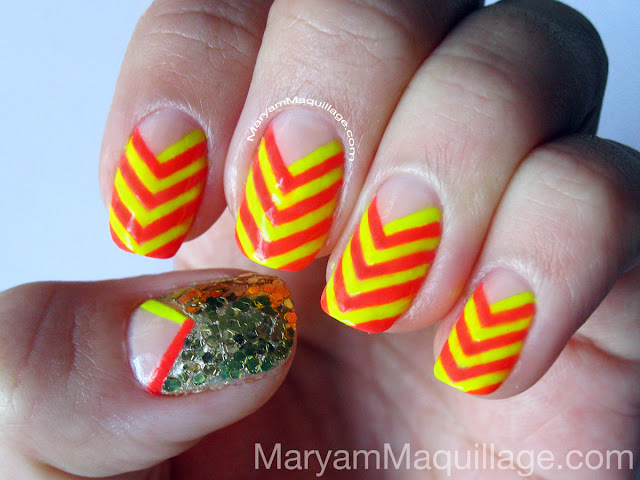 Today's nails of the week are bright and geometric, featuring the neon trend in one fun, traffic-stopping chevron manicure. Read more for tips, deets and how-to! Yo yo yo chicas & chicos!!! Today's look is bright, fresh and funky; featuring more of my IMATS goodies and built around one awesomely awesome OCC lip tar. 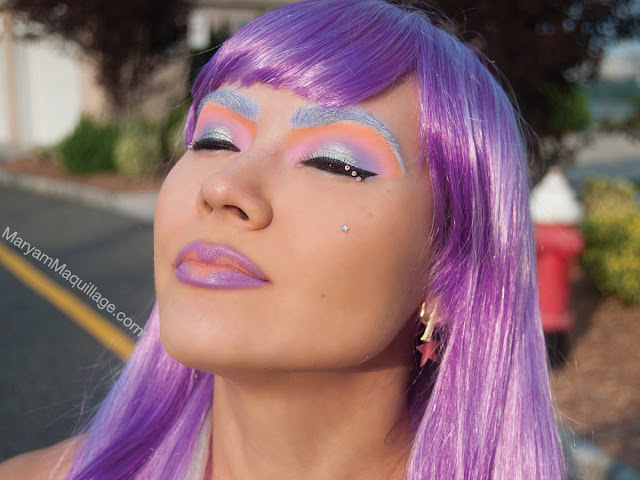 Inspired by Narcissus, a punchy blue-based lavender-pink lip tar, I created a look with blingin' glittah eyez and a long super shiny pony-tail, perfect for any Urban Barbie. Read more for reviews, pix & deets! Bonjour mes belles et mes beaus!! I'm back with yet another exciting discovery to share! 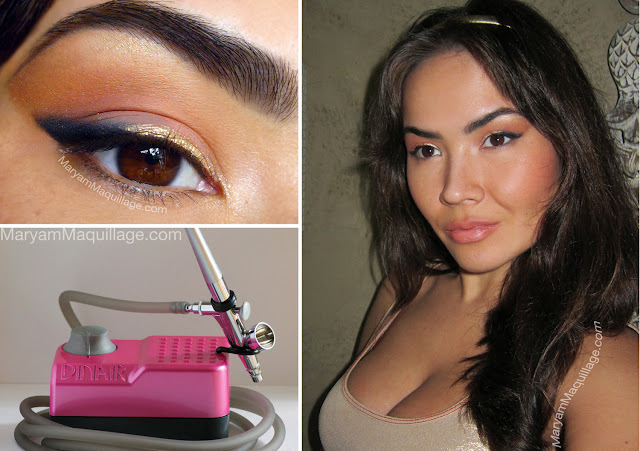 You may remember my lengthy Dinair airbrush foundation & system review post and today, I'm presenting an entire makeup look using solely Dinair*. Everything in the photo above has been perfected using the airbrush system and makeup -- I've air-tanned, air-blushed, air-contoured, air-lined and airbrushed everything from my chest to my forehead!! Read more to find out how I did it! Salut mes amis!! I'm back from my vacay and I have exciting news to share! 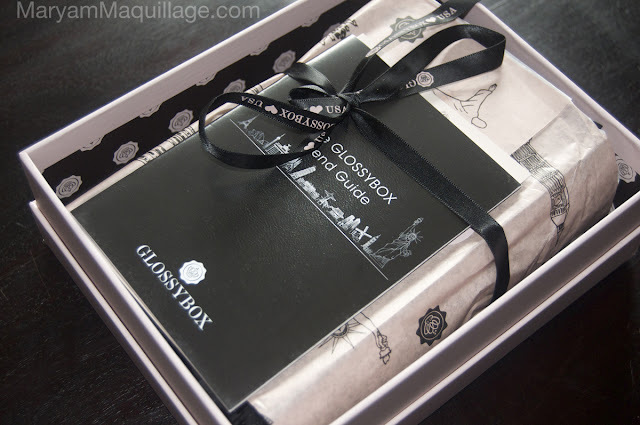 Yes, you guessed it -- GLOSSYBOX, the global leader in prestige beauty sampling subscriptions, has launched its services in USA and today I'm presenting the April box US debut, kindly sent to me for review by PR. Salut mes belles!! Today's post is my second prom installment for the season, featuring a look I'd most likely wear to my own prom, if I were to attend this year. I got such great feedback for my first look (see here), that I thought I'd create a second using a few of my IMATS goodies from coveted makeup brands like NYX, Velour Lashes and OCC. 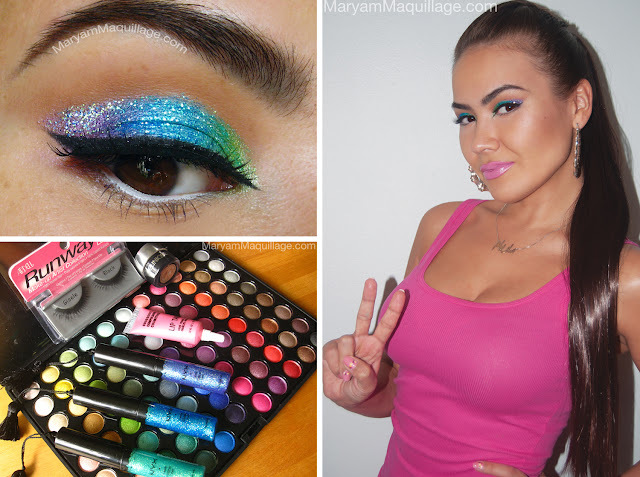 Read on for pix, tips & deets, plus reviews and how-to's!